Being addicted to something is more than simply being physically dependent on a drug and experiencing physiological effects if it’s suddenly stopped. “Addiction” refers to behaviors that are compulsive and partially out of control or worse. These behaviors can often escalate in severity and intensity. People can be addicted to gambling, abusing alcohol or other drugs, or other kinds of behavior. Think about it this way: those who take pain medications around the clock for legitimate health reasons are not addicted, even if they are physiologically dependent on those drugs. Unless someone is physically dependent on a drug and it is also causing problems in that person’s life, they don’t meet the clinical definition of addiction. If the drug dominates their daily existence, causes them to engage in dangerous behaviors in order to procure the drug, or they’re spiraling out of control, then they definitely have a problem and might well be addicted. The best estimates are that 9% of marijuana users are dependent. That is less than the number of users of tobacco (32%) or alcohol (approximately 10-15%) who become dependent on those substances. The younger someone is when they use marijuana for the first time, the more likely they are to become addicted to it later in life. So those who started using marijuana in adolescence are much more likely to become addicted to marijuana than others and to experience withdrawal symptoms if they suddenly stop. They are also more likely experience depression and anxiety. This is because our brains continue to develop into our mid- to late-20s. So what, if anything, does all of this mean for legalization? Does the fact that cannabis is increasingly legal mean that addiction rates are going to spike and related issues – such as lower IQs and higher rates of marijuana addiction – are also going to jump? I believe the answer is no. Despite these legitimate concerns, thus far there are no compelling data to suggest that drug use has increased in Colorado where recreational cannabis is currently legal. Even though it’s only recently that Colorado legalized marijuana, I don’t expect this to change going forward. A large study found that rates of cannabis use among teenagers in states that legalized medical marijuana did not increase. And since Colorado fully legalized cannabis in 2013, the early reports show that rates of cannabis consumption among teens have continued to decline, which is part of a nation-wide trend. Additionally, we have an example of a country where drugs were decriminalized over a decade ago. Portugal decriminalized drug use in 2001. Drug users are not punished for their offense when found to possess drugs, but instead are offered access to treatment and rehab. The result: a decade later, drug abuse was cut in half in Portugal. 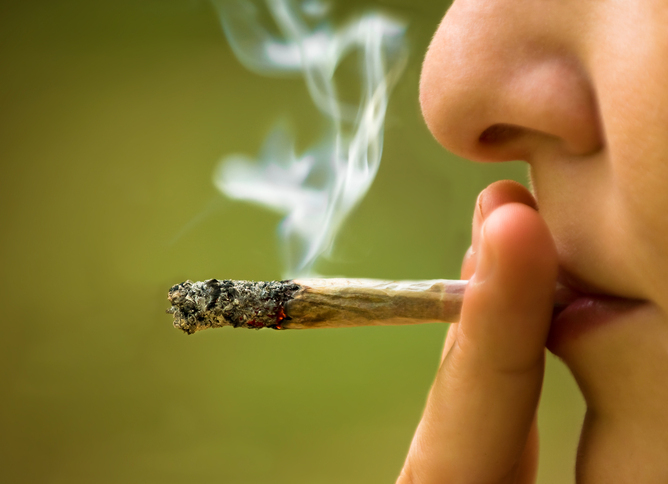 Specifically among Portuguese teens in grades 10 through 12, lifetime prevalence rates of marijuana use decreased from 26% in 2001 to 19% in 2006. This is not to say that drugs of abuse in general, and cannabis in particular, are benign. Indeed, they are addictive and can harm brain development. But decriminalizing or legalizing drug use makes sense because it reduces crime almost immediately, frees up police for more serious matters and will likely not lead to higher rates of use.